It’s been a long chilly winter although despite, or perhaps because of the grey skies and shivery temperatures I’ve completed three new pieces that are going into the Padstow Studio in time for Easter. I’m always amazed at the hardiness of surfers who take to their boards even in the depths of winter. There’s a flavour of their toughness in Cold Water Surf ll Treyarron. 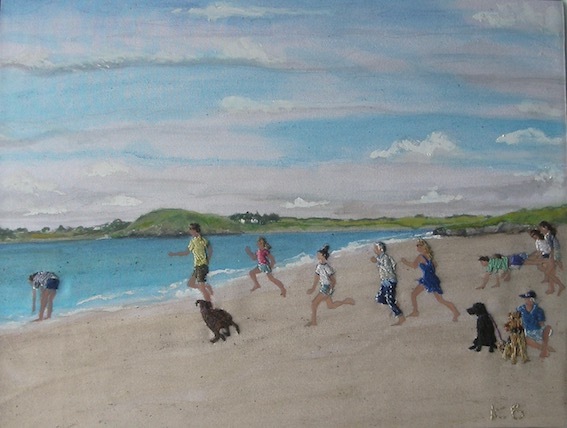 More typical of the classic Cornish beach experience are Sports Day at the Beach Padstow and Cooling Down High Summer Harlyn – with all the sun, fun, frolics and happy pooches enjoying the sand and sea on perfect summer’s days. Anyone with a keen eye will spot Asta on both. 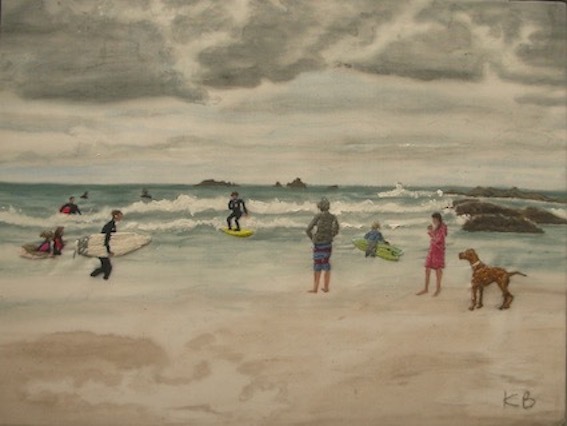 All three at at Sarah Adams’ Cold Water Surf II Treyarron Padstow Studio in Duke Street now. 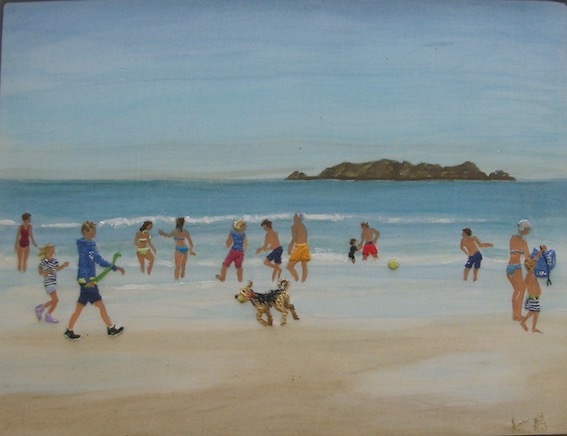 This entry was posted in Asta Puppy, Cornwall Beach Pictures, Uncategorized. Bookmark the permalink.